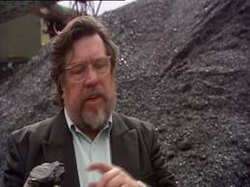 Ricky Tomlinson's personal history of British coalmining, As part of the documentary, this episode featured a visit to A&T Miners Whippet Racing Club where Ricky watched the dogs racing and shared memories with our racing members. FAST trappers are all the rage in the heart of the once mighty south Lancashire coalfield. Speed is on top of the menu among a dedicated band of dog lovers who meet in sleepy Gin Pit village midway between Astley and Tyldesley and just a stone's throw from the giant Higher Fold housing estate at Leigh. For the men, women and youngsters who form the nucleus of Astley and Tyldesley Whippet and Dog Racing Club, who meet in the A & T Miners Welfare Club built by local pitmen during the 1926 strike, their sport is steeped in local tradition.And over the past few weeks they've staged successful dog and ferret show events that have brought enthusiasts from all corners of Britain. It's a flying start for racing dog Jeebs as he leaps into action in support of the tsunami appeal. Jeebs was among more than 50 dogs entered for a series of races as owners turned out in force to support Westhoughton Whippet and Dog Racing Club's meeting in aid of the appeal fund. 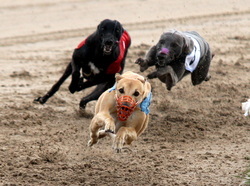 Dogs from all over the North-west competed in the club's fun meeting at the Bolton and Westhoughton Greyhound Stadium. By the end of the afternoon, £345 was raised and there have been further pledges of cash from other dog owners.